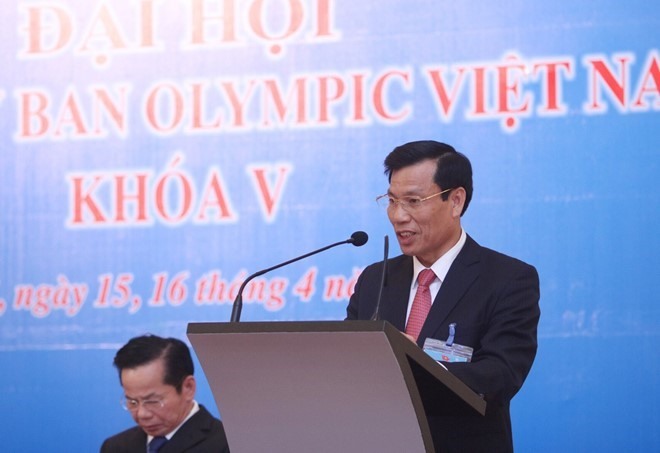 HÀ NỘI — Minister of Culture, Sports and Tourism Nguyễn Ngọc Thiện was voted President of the Việt Nam Olympics Committee (VOC) yesterday. The committee wrapped-up their two-day meeting in which they elected a new president and worked out their plan for the 2016-2020 term in Hà Nội. Thiện will be assisted by seven vice presidents during his term in office. Also, Trần Văn Mạnh was reelected as the General Secretary. In the new period the committee will focus on several key targets. Sports will be strongly developed among people. Key sports, such as athletics and swimming, will be supported to reach continental and world levels. Việt Nam’s potential sports that are organised in Olympics and Asian Games will receive special preparation so that athletes could reach high standings at the coming Games.